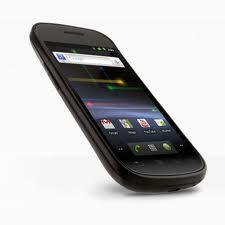 InTouch Smartcards is pleased to announce the the thinnest HSPA+ phone currently available, the new Unlocked Motorola Droid 4G HSDPA Android 2.3.5 phone. Only the GSM Droid Razr can be used anywhere in the world, so if you travel overseas but are looking for a 4g HSDPA phone that can work on TMobile and AT&T that can be used overseas this is the best phone currently available. Kevlar, steel and aluminum accents fuse to create a handset that is a worthy successor to the extremely popular RAZR line. Add a 4.3" qHD Super AMOLED Advanced screen and a powerful dual-core chipset, and the Motorola DROID RAZR has successfully taken the RAZR brand and created a great new Android smartphone. Only the GSM Droid Razr can be used reliable overseas. If you purchase a Verizon Droid Razr you will not have GSM coverage when traveling overseas. Be sure to contact InTouch Smartcards before your next trip to Europe, Asia, Africa or the Middle East to make sure your phone can be used reliably where you will be traveling. Our new Dual IMSI SmartFree Quattro SIM works in the new GSM Droid Razr and can help you save money when traveling outside of the USA. Only InTouch SmartCards offers the best solutions and lowest prices for evaluating and using iPhones, Droid Razr Android phones, and tablets with different wireless services and applications. Our iSip discount calling APP and service offers a great way to save money on overseas calls or an effective alternative to an expensive rate plan. Let InTouch USA help you do a hands on comparison of the Apple iPad 2 vs. Motorola Droid Razr vs. the Galaxy TAB Motorola Zoom HP Touch Pad RIM PlayBook HTC Flyer LG Optimus Pad Dell Streak and other available phones and tablets. Want to try before you buy? Short-term rental requires no purchase order or 24 month contract. 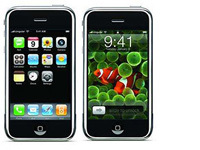 Renting an iPhone 4S, iPad2, or Android Phone today is perfect for developers, corporate evaluations, overseas trips, trade shows, product reviews of GSM vs. CDMA and for special events. Rent the device with active data services, understand i functions, apps, features, how it works in your world and on the wireless carrier in your city (without any term obligation). The Droid Razr is available for purchase now, but depending on when you order there may be a waiting list so be sure to get your order in. Be sure to inquire about our embassy and diplomatic special pricing and discounts. "